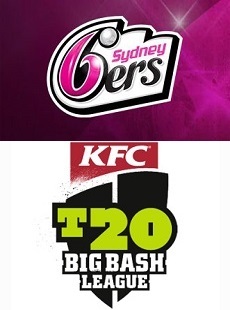 Sunstar Cricketing talent Mitch Starc, Steve O’Keefe and Jordan Silk are all confirmed members of the Sydney Sixers squad which will be competing in the third season of the highly successful KFC T20 Big Bash League. The Sixers will start their campaign with a bang when they take on inner-city rivals the Sydney Thunder at the SCG on December 21. With some exciting recruitment taking place over the off season, the Sixers will be looking to capitalise on having some of the best mixture of experience and youth in the competition and repeat the success of winning BBL|01 and the Champions Trophy in South Africa. Mitch Starc and Steve O’Keefe have been members of the side since the inception of the competition, and have tasted success at the highest level of T20 with both having represented Australia and also winning BBL|01 and the Champions Trophy in South Africa. Mitch remains in the UK with the Ashes squad who start the 3rd test next Thursday at Old Trafford, Steve O’Keefe is training hard in pre-season with the Blues and Jordan is over in Sri Lanka on a Centre Of Excellence Tour.